CEDIFOR is a Digital Humanities Centre, established in 2014. We intend to contribute to bridging the gap between research in the Humanities and computer based methods, and help researchers to master the characteristic problems in this process. We provide methodological expertise for advising researchers from the Humanities, Social, and Educational Sciences on adopting computer based methods in their research. This concerns the planning and operational stage of projects as well as the long-term provision of result data. The centre sees itself as an innovative, research based platform for researchers from all fields of the Humanities. It offers a series of novel services for multi-modal data and supports the processing of research topics beyond established paradigms. CEDIFOR is built on the experiences, the expertise, and the infrastructure of the LOEWE Research Cluster “Digital Humanities—Integrated Preparation and Analysis of Text Based Corpora” (2011-2014). 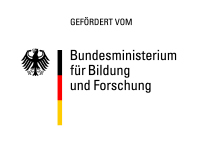 CEDIFOR is a joint undertaking by Goethe University Frankfurt, TU Darmstadt, and Deutsches Institut für Internationale Pädagogische Forschung (DIPF) in Frankfurt, and has been funded since Dec. 1, 2014 by the German Federal Ministry of Education and Research.